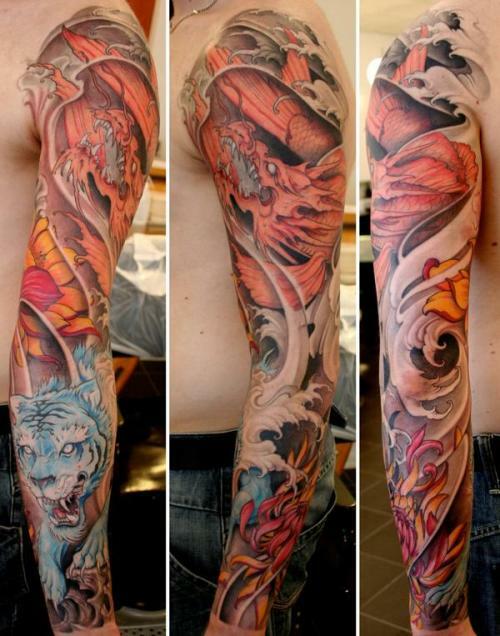 Tattoo Blog » Meet Johan Finné! 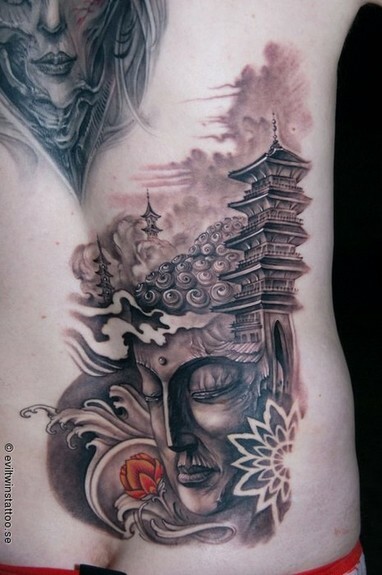 Tattoo Blog » Inspired » Meet Johan Finné! One of the first things that you’ll see if you go to the Evil Twins Heavenly Tattoo Studio website and click on Johan Finné’s name is an apology for being so hard to get a hold of. As it stands, Finné has a pretty booked up schedule (around 35 weeks) and wants to make sure that prospective clients know that he’s got a lot on his plate as of late. This is hardly surprising given the quality of the man’s work. From portrait work to realistic, to colour to black and grey, sleeves to back pieces, Finné is quietly putting it down and putting it down well. It’s only natural that there would be a great demand to receive tattoo work that is so lifelike and visually stunning. Finné’s tattoos seem to flow with the body of the person he inks them on and his belief in artistic freedom being a joint process through client and tattooist is the sheer mark of a talented and aware tattooist. If the 35 week waiting list isn’t all that daunting to you (which it shouldn’t be if you’re really in the market for a great tattooist), then the only other barrier could be the geographical location. Finné works out of Helsingborg, Sweden, making him kind of inaccessible to a lot of us. But even if Finné is too far out of your geographical boundaries, look on the bright side: now you have a solid reason to travel to Sweden other than just for tourism. Personally, Finné has made my list of tattooists that I want to be tattooed by. All I need now is the plane ticket and the cash. One day, my friend, one day.